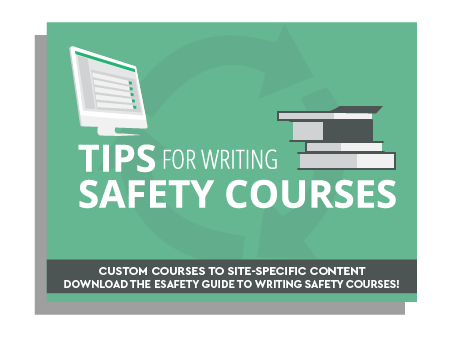 Learn to create custom safety courses with your site-specific content. Even the best and most comprehensive training libraries can’t anticipate your workplace’s exact safety training needs. If your company has unique facility features, specialized equipment, or processes exclusive to your company, you may need to write your own safety training courses to address the risks associated with these special features. Safety practices and regulatory compliance are essential to your organization’s operations, so you need to ensure that you create a course that meets safety regulations and keeps your employees safe. Our guide, Tips for Writing Safety Courses provides useful information that can help you write thorough and effective training courses.